An employee stole nearly £10,000 from a luxury cake company he worked for. Colin Johnson, 44, took the cash over the course of a year, a court heard. Johnson, of Lower Road in Ashford, took the money while an employee of Chef's Pantry. 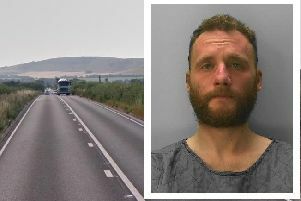 He pleaded guilty to a single charge of theft by employee at Hove Crown Court on Wednesday. The total sum taken was £9,767.55. Chef's Pantry is a luxury baker of handmade cakes based in East Hoathly near Uckfield. Johnson, who is of previous good character, will be sentenced at a later date after a pre-sentence report has been drawn up.